The Saunders Bridge is a stone arch bridge that crosses Route 53. It was designed by a local firm, Rieley and Associates, and is said to be the realization of one of Thomas Jefferson’s plans for the development of his property. The Thomas Jefferson Parkway (Route 53), part of the Journey Through Hallowed Ground Byway, serves as the scenic entrance to Monticello in Albermarle County, Virginia. 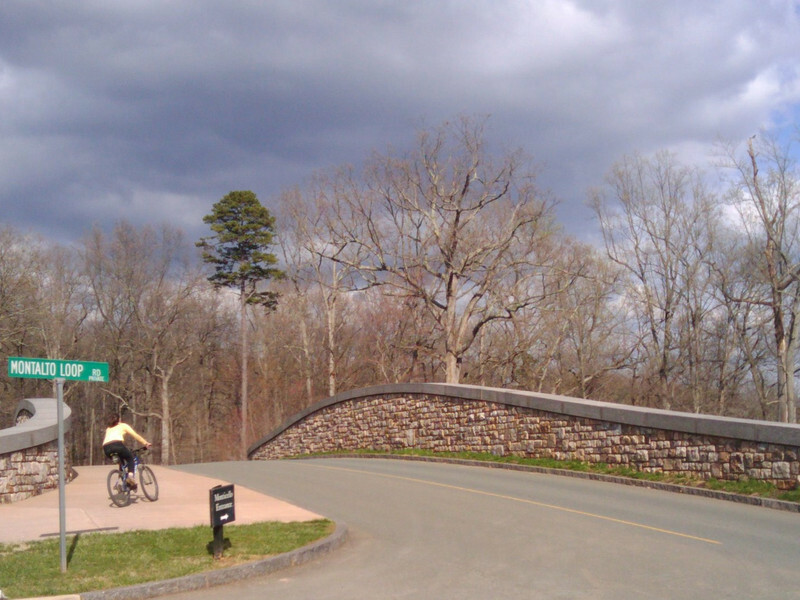 Developed by the Thomas Jefferson Foundation, the Parkway improvement project was a $6.5 million project that took place between 1996 and 2002 and involved the development of the Saunders-Monticello Trail, an arboretum, a 2-acre pond, and the Saunders Bridge. A $3.4 million TE grant, procured in 1992, along with private donations in the amount of $3.1 million provided funding for the Thomas Jefferson Parkway improvements.